An increasing number of nonprofits are working to restore local and regional food systems across the country. These efforts spring in part from a collective recognition that the current food system is not sustainable. According to the American Farmland Trust’s 2018 report, entitled Farms Under Threat: The State of America’s Farmland, between 1992 and 2012, almost 31 million acres of agricultural land were irreversibly lost to urban development, to name just one factor. While conservation of farmland is crucial, it is not the only challenge. First, our existing food system is under growing strain; by 2050, the demands on agriculture to provide sufficient food, fiber, and energy are expected to be 50 to 70 percent higher than they are now. Furthermore, the average age of the American farmer has increased, and currently is over 58. There is a paramount need to increase the pipeline of new farmers, as farmers over the age of 65 now outnumber farmers under 35 by a margin of six to one, and US farmland is overwhelmingly concentrated in the hands of older farmers. Land ownership is also heavily white, the result of a long history of racism, oppression, and exploitation of communities of color that continues to this day. It is with this background that nonprofits are engaging multiple facets of the complex changing landscape of American agriculture. In California in particular, which leads the nation in agricultural cash receipts with $43 billion annually, nonprofits are increasingly focused on providing business training and support for new farmers. Many new farmers face a variety of barriers to entry, with the most commonly cited ones being access to land and access to capital. However, several others exist and should be considered. According to the Agricultural Marketing Resource Center, other common obstacles new farmers face include economies of scale considerations, capital investment requirements at various stages of business development, government standards and permitting requirements, intellectual property, high switching costs, and negotiating distributor and supplier agreements, establishing a brand identity, scaling costs, and research and development expenses, among others. Additionally, we must again call out that racism plays a role in the small number of farmers of color, as farming is the second-whitest job in the United States, according to 2016 Data from the Bureau of Labor Statistics. This did not happen by accident. In California, for instance, Japanese-American farmers were dispossessed of their land both through laws that prohibited “non-citizen” holdings—Asian Americans were barred from citizenship at the time—and, most dramatically, as part of the forcible “internment” of Japanese Americans during World War II. Blacks were stripped of their land more gradually, but equally effectively. 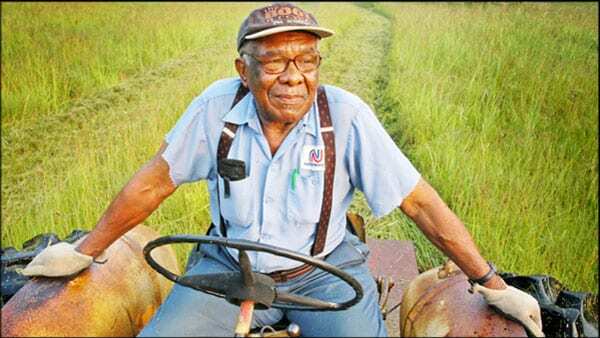 In 1920, there were 925,000 Black-owned farms in the US, 14 percent of the total; by 1975, this number had fallen to 45,000. Today, Blacks are less than two percent of the nation’s farmers and one percent of its rural landowners. A range of factors including discrimination by the US Department of Agriculture, as documented in the Pigford case, and insecure land tenure are to blame. Now a number of nonprofits are seeking to reverse these long-term trends. Some, like Kitchen Table Advisors, offer business advising services and relationship building, while others like the Agriculture and Land-Based Training Association offer farmer education courses, as well as an on-site incubator. Many of these nonprofits are supported by foundations seeking to bolster food security, address food access, and nurture an emerging generation of farmers to strengthen the food system. In addition to foundations, increasingly nonprofits are receiving public support to offer integrated programs and training services for beginning farmers. For example, First Generation Farmers (FGF), a nonprofit based in Knightsen, received funding from the USDA National Institute of Food and Agriculture’s Beginning Farmer and Rancher Development Program to support its Urban Edge Sustainable Farming program, which is geared towards beginning farmers in training (BFTs), and offers an intensive nine-month on-site training course that includes agricultural instruction and crop cultivation on a 13-acre organic plot, farm business fundamentals, and marketing and branding. The course and program are offered in partnership with the National Center for Appropriate Technology and the University of California Cooperative Extension. As beginning farmers develop their enterprise concepts, First Generation Farmers offers a second-year incubator phase, where participants use a portion of the program’s 550-acre prime, protected farmland, which has the option to transition into long-term leases. FGF is also connected with a larger network dedicated to farmer education called the Farmer Educator Network (FEN) of Northern California, a strategy to connect programs and nonprofits in the region to increase effectiveness. Access to capital is also important. In some states, community development financial institutions (CDFIs) are involved, as is reflected in the Center for Regional Food Systems report, Financing Farming in the US: Nine Case Studies of Community Development Financial Institution Lending in Farm Production Sector. There are other avenues for accessing capital, and groups like the National Young Famers Coalition (NYFC) are drawing attention to these options. For example, NYFC produced a guidebook in 2018 to help young farmers and ranchers navigate the credit options offered by the United States Department of Agriculture Farm Service Agency. Another promising area in terms of finance and business development is the network of small business development centers (SBDCs) in California, which are increasingly focused on developing resilient and thriving agricultural businesses. Finally, the adoption of the new Farm Bill included much needed resource allocation for farmers of color, specifically in the adoption of mandatory permanent funding for the Farming Opportunities Training and Outreach (FOTO) program, which combines the Beginning Farmer and Rancher Development Program (BFRDP) and the Outreach and Assistance to Socially Disadvantaged and Veteran Farmers and Ranchers (also known as the “Section 2501” program). The inclusion of these resources resulted partly from a large public effort to include equity programs in the Farm Bill, which NPQ reported on last fall. Locally in California, the progress of the Farm Bill bolsters local efforts such as the adopted of the Farmer Equity Act of 2017, and illustrates how federal and state policy can work together to dismantle systems of oppression. Derrick Rhayn is the Chief Catalyst at Networks for Change, a Seattle consulting firm specializing in building the capacity of social change networks and nonprofit organizations through consulting, training, and coaching. As a ‘network weaver,’ Derrick focuses on facilitating increased connectivity within networks and nonprofits as a way of unleashing their potential, mobilizing their hidden assets, and generating innovative solutions with an orientation towards systems change. Derrick has spent his entire career in the nonprofit sector, and has a passion for fund development, emerging economic models, and food systems. He is currently working with groups focused on circular economy, regional food systems, cooperative economics, impact investing, and community development finance. The nation’s largest foundation devotedly solely to American Indians launched this month. How this fund emerged speaks to how the federal government continues to neglect Indian Country.